In the fall of 1983, several area business administrators met to discuss workers’ compensation insurance. Each of them had experienced significant and often unpredictable changes in their premiums and was alarmed by the lack of control they had over these trends. As a result of these concerns, they decided to investigate whether there was a less expensive, practical way to provide workers’ compensation coverage. At the same time, the State of New Jersey had signed into law certain amendments that permitted school districts to “pool” together in order to provide workers’ compensation, property, automobile liability and general liability insurance. This legislation provided another option for the group to consider. In order to evaluate and analyze the available alternatives, a committee was formed and charged with studying traditional insurance, stand alone self-insurance, participation in State and regional school pools and the formation of a local pool. Before analyzing each option, the committee established the following basic criteria for evaluation – cost, stability, and in the case of pools, membership characteristics and administrative expertise. 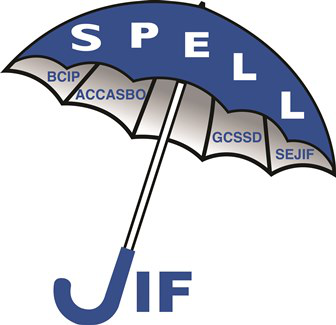 As a result of the study, eight school districts committed to the local pooling concept and together they formed the Burlington County Insurance Pool Joint Insurance Fund (BCIP JIF), which began operation July 1, 1984. The Pool grew to thirteen members in its first year of operation and presently has thirty-three member districts. Maintain a conservative funding posture in an effort to ensure the long-term financial security and stability of the Fund and, by extension, the members. Equitably distribute the Fund Budget among the participant member districts. Originally formed as a workers’ compensation Pool, the Burlington County Insurance Pool Joint Insurance Fund (BCIP JIF) has successfully transitioned to an all lines Fund. We are proud to note that BCIP JIF managed the transition years well and has maintained consistency in membership retention and growth while remaining focused on the Fund’s overall mission.